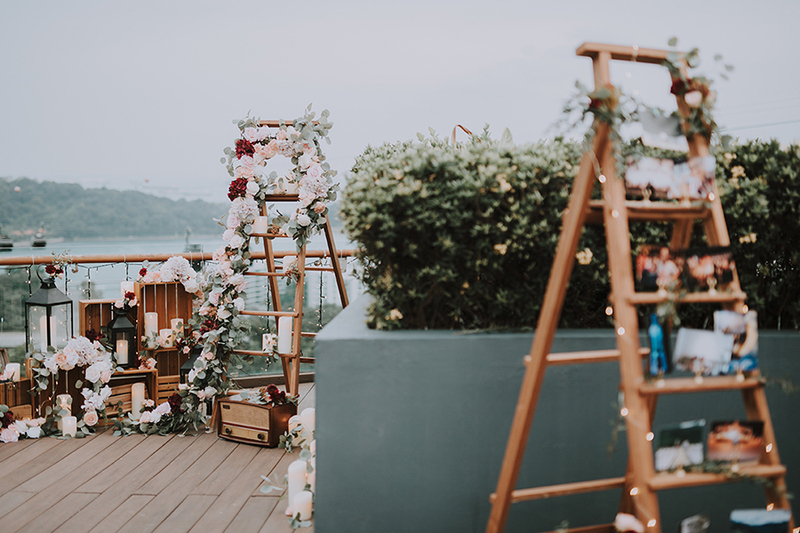 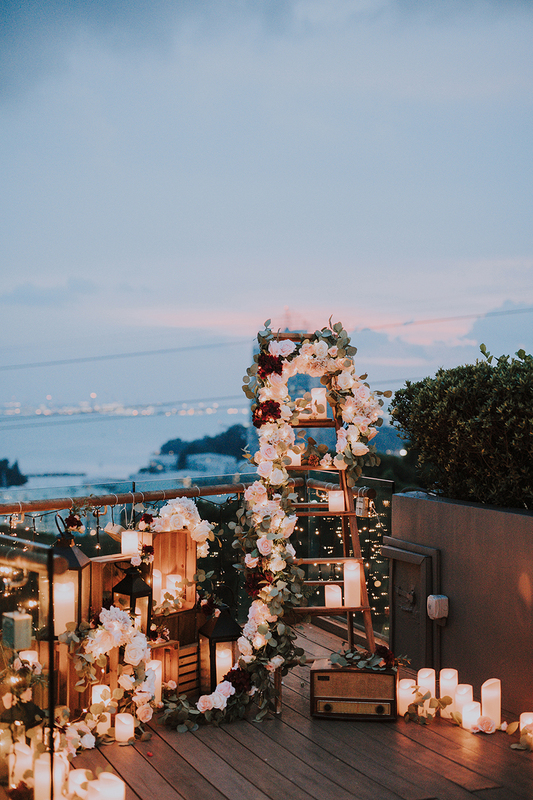 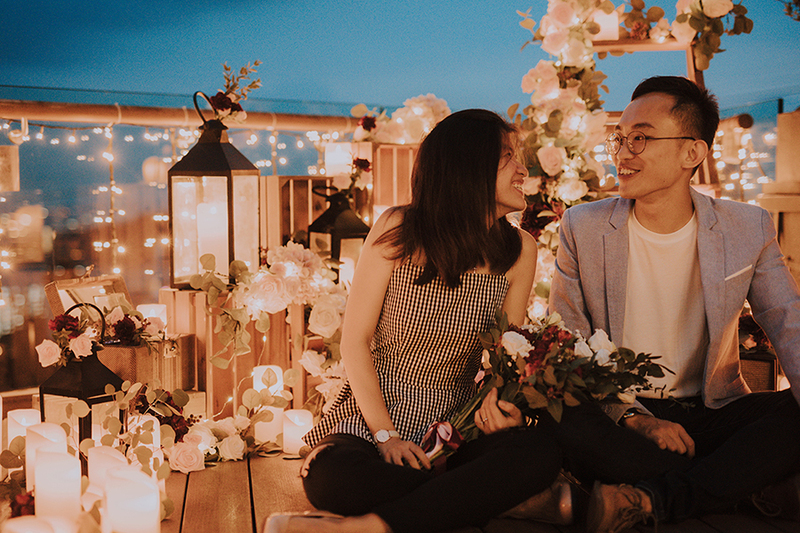 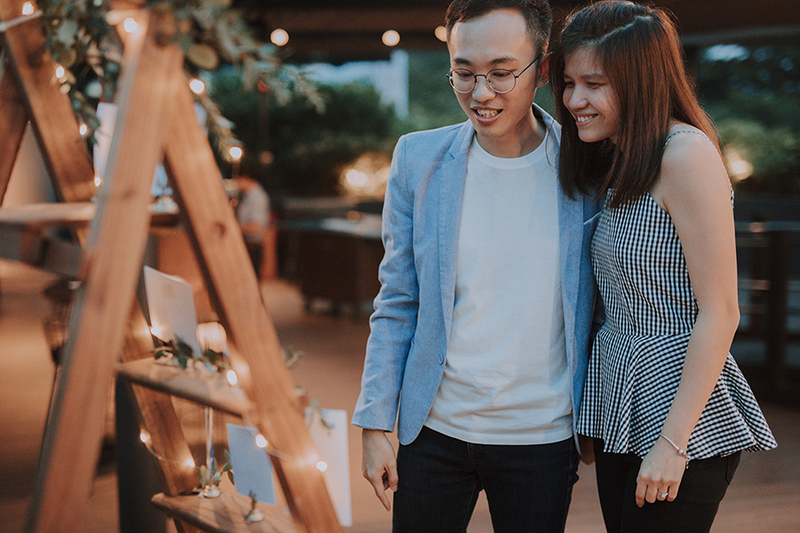 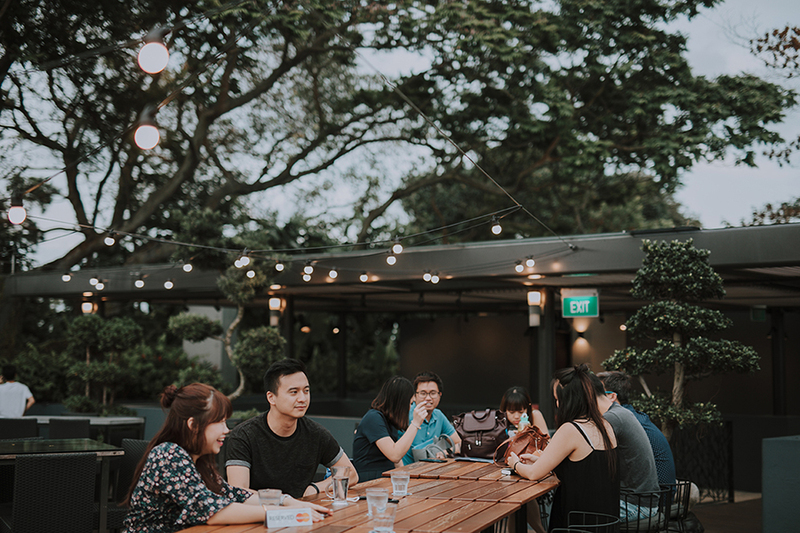 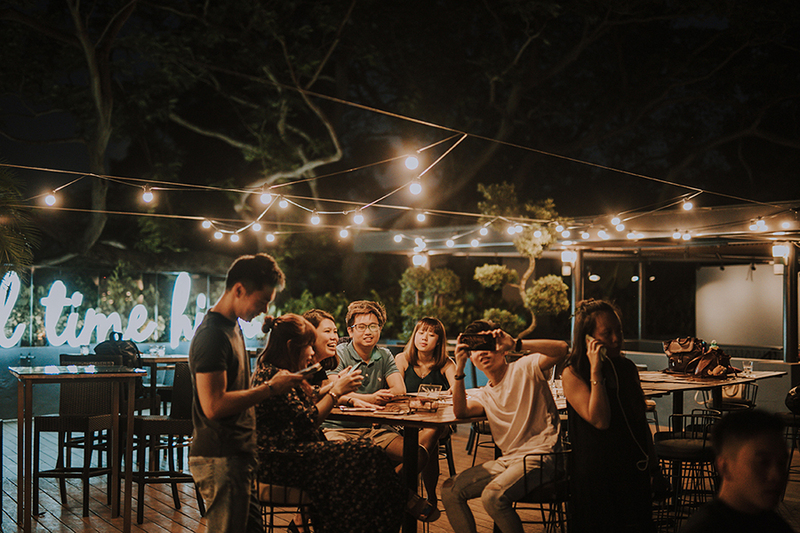 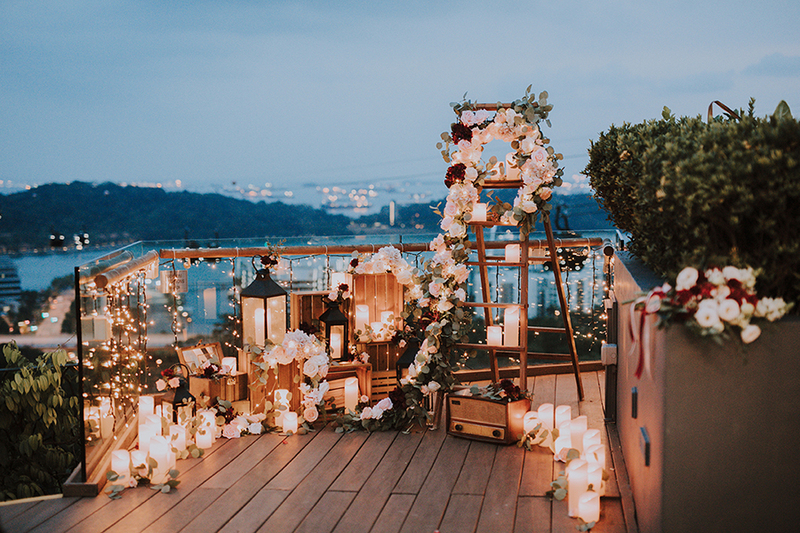 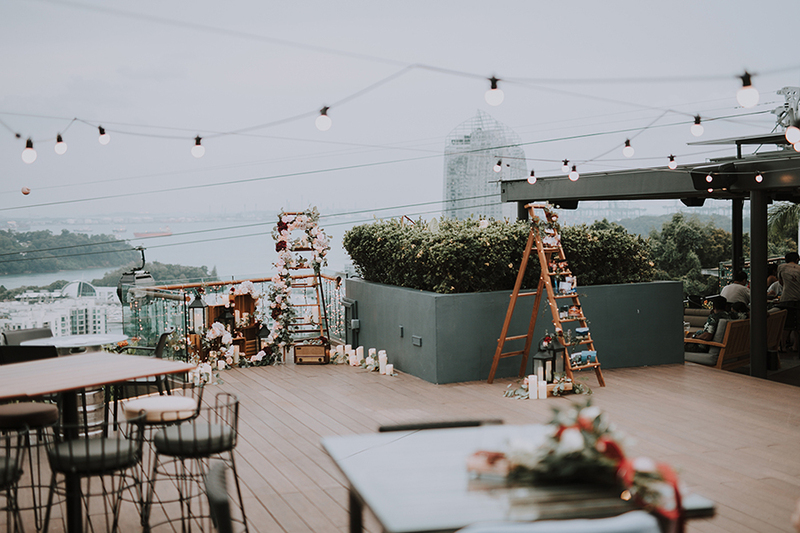 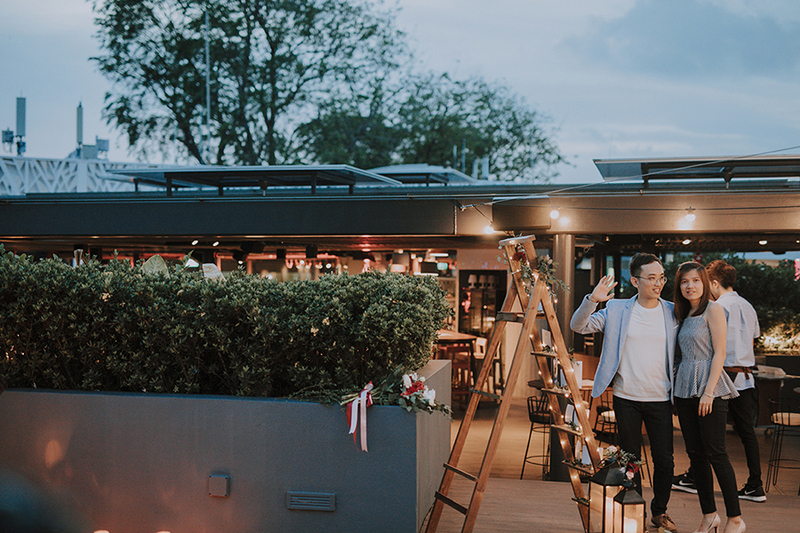 Held at Dusk Restaurant & Bar, captured by Pixioo, and styled by Invited, the restaurant’s breezy wooden deck was transformed into a romantic little enclave for Sen Min’s surprise marriage proposal to his girlfriend Shi Ming. 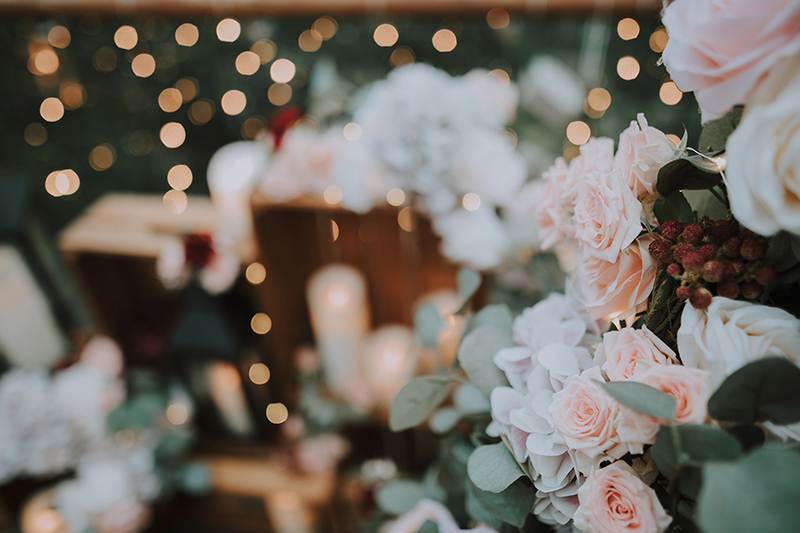 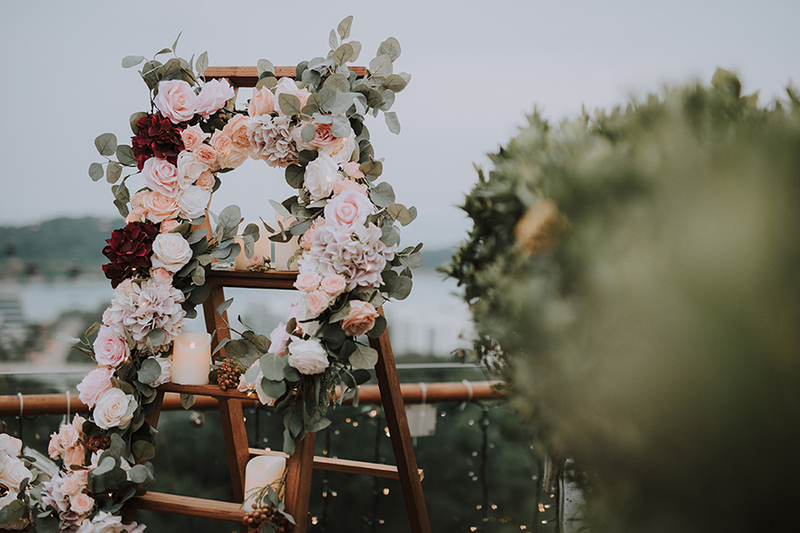 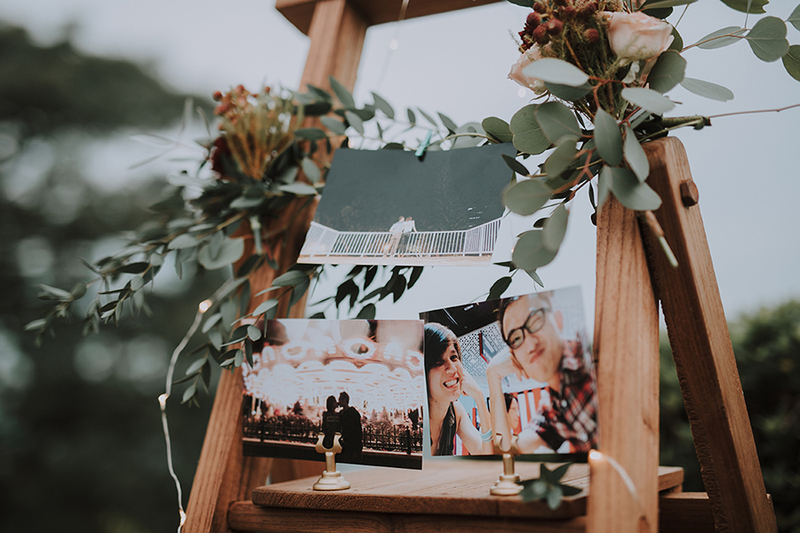 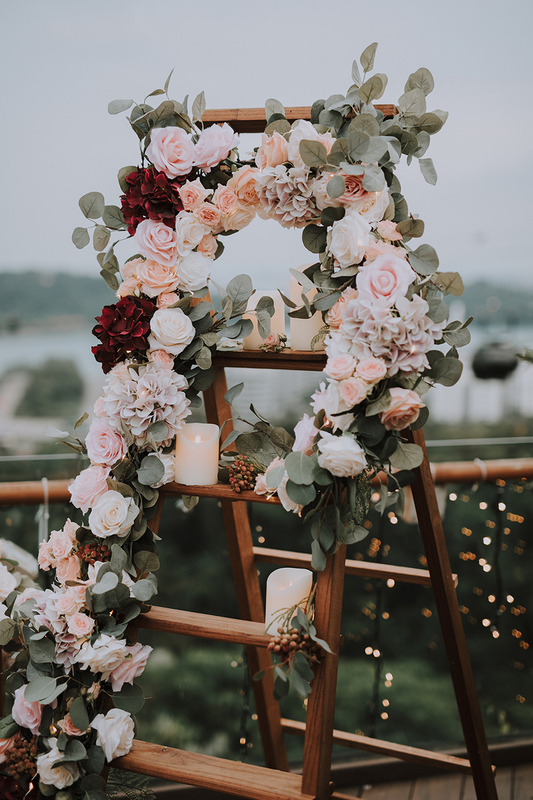 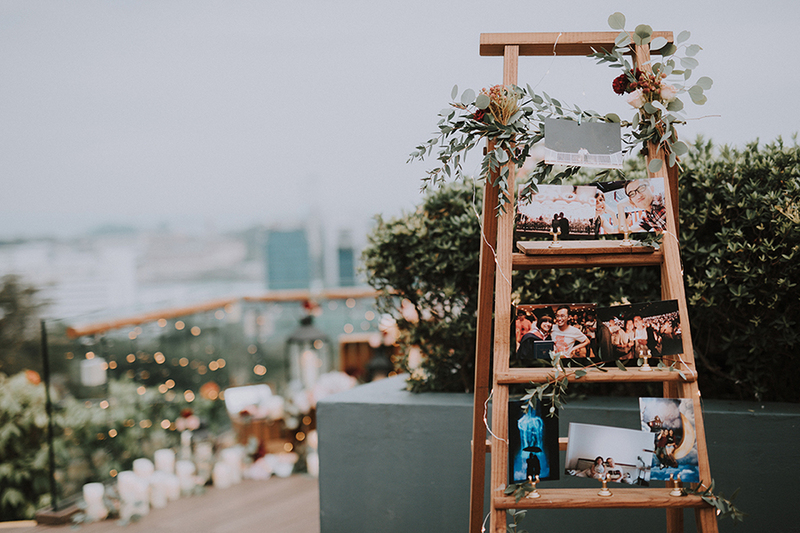 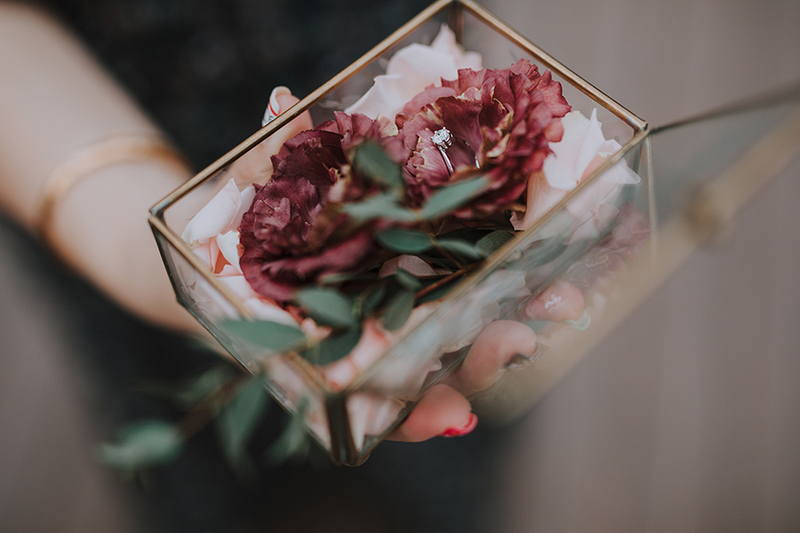 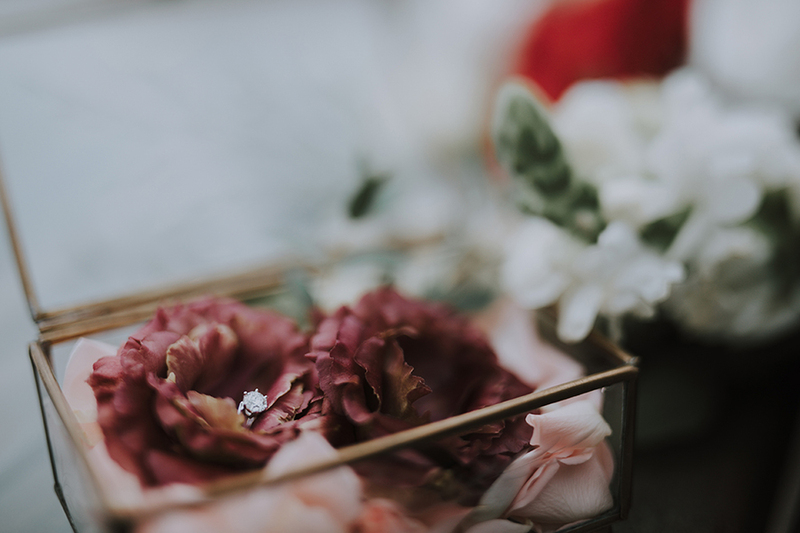 Fresh pink and red blooms were arranged on wooden ladders that displayed photos of the couple, while the beautiful custom ring was laid in a glass box filled with flower petals. 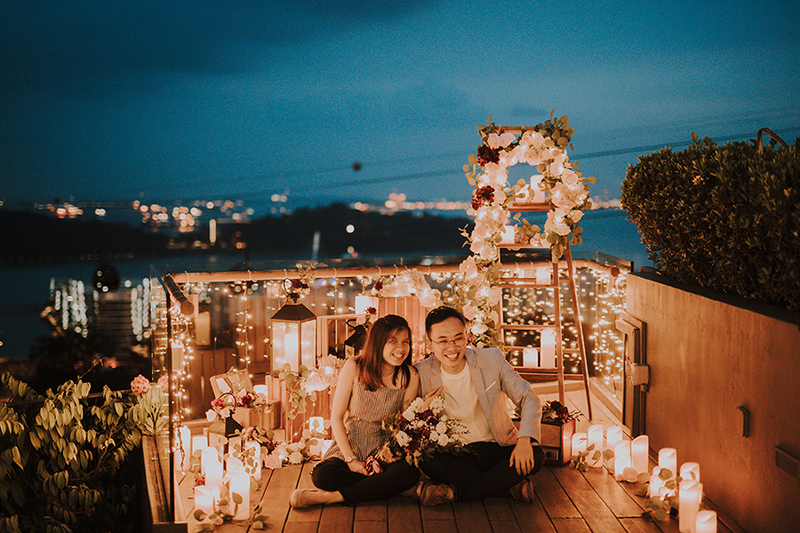 And as the sun went down and dozens of candles cast a golden glow over the scene, Sen Min went down on one knee and Shi Ming said “I do”! 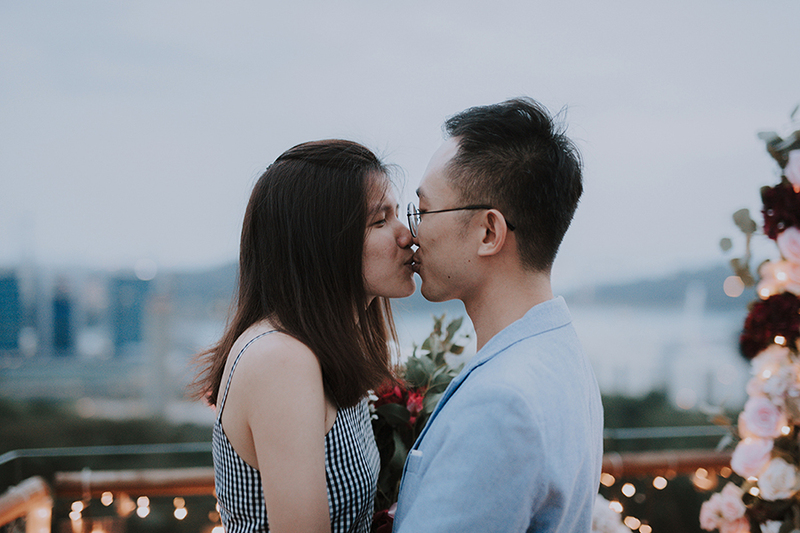 How did you meet, and how did you know he/she was The One? 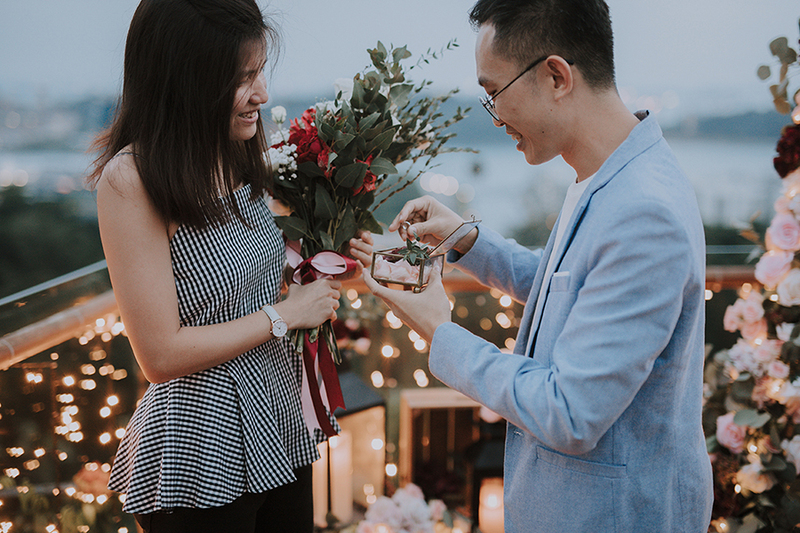 When did you decide to propose and what planning was involved? 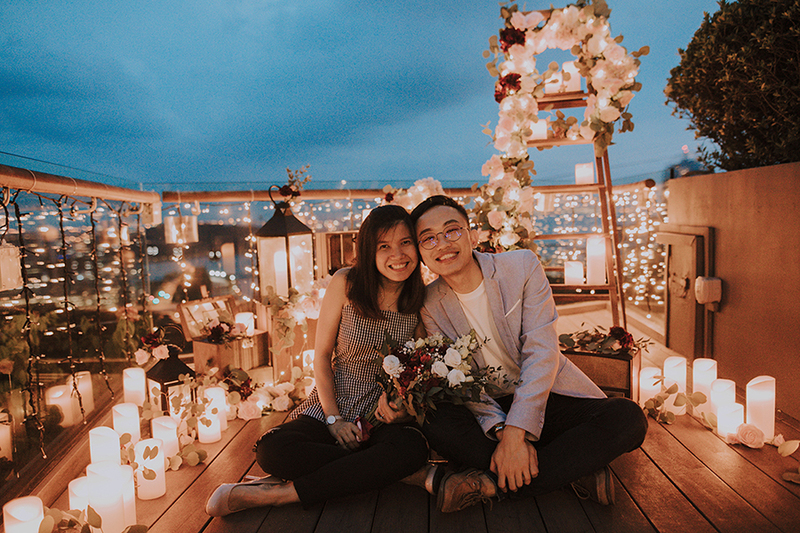 “I had to plan a date which was not typical and predictable (i.e. 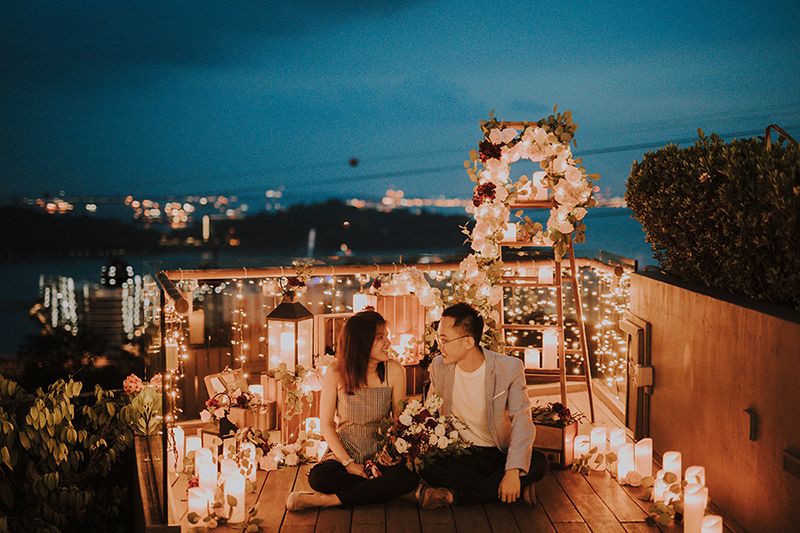 an anniversary or Christmas) so that she wouldn’t expect it. 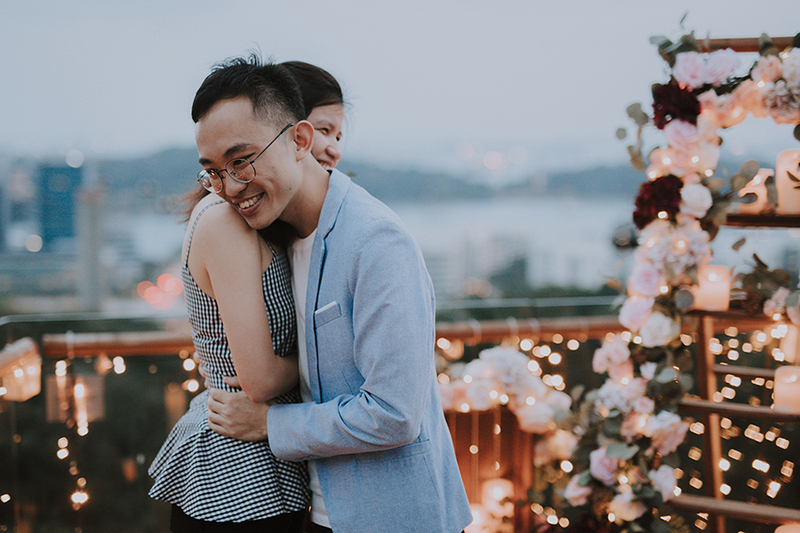 I had an idea of what I wanted and I approached Loretta to help out as I was very familiar with her work. 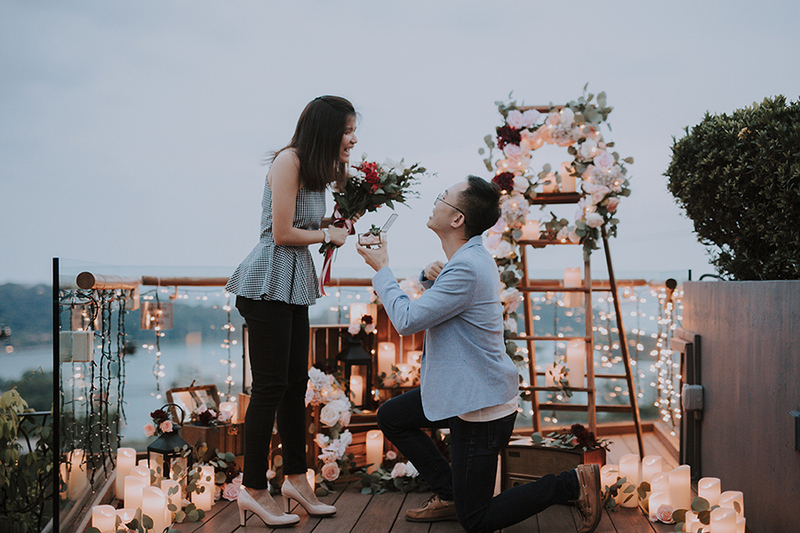 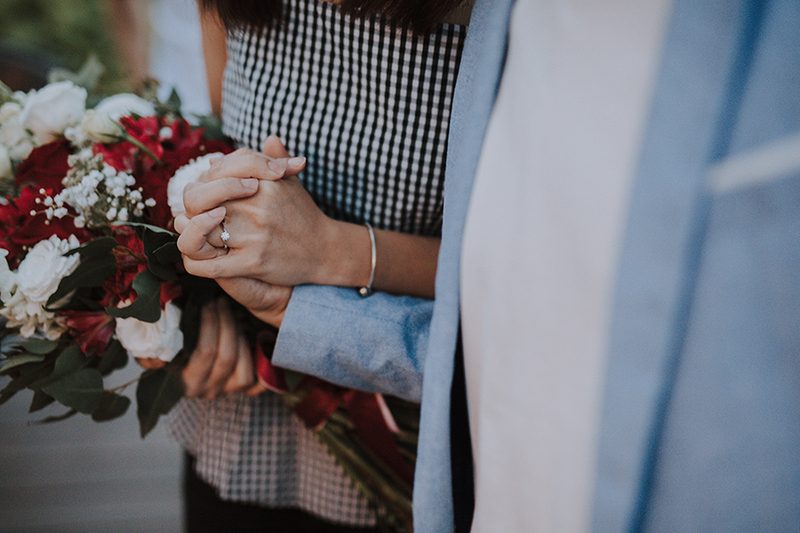 How did you feel after the proposal and do you have any tips for other couples planning to propose? 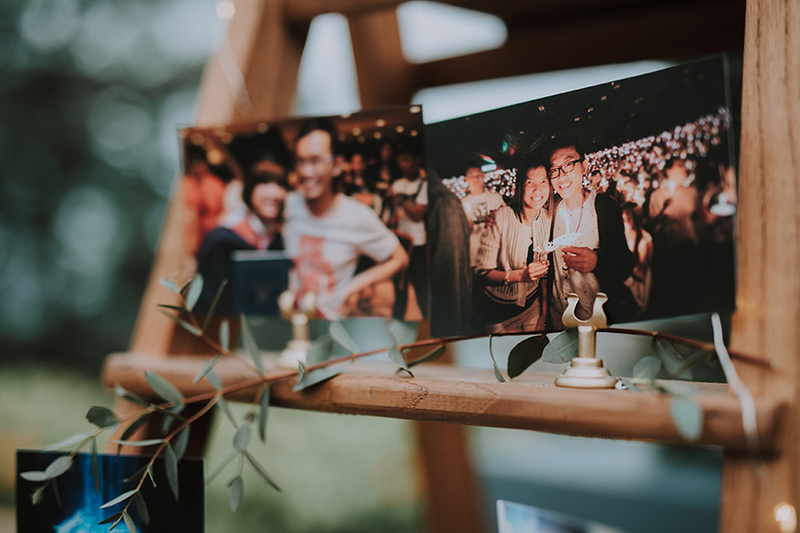 “It was real surreal for me. 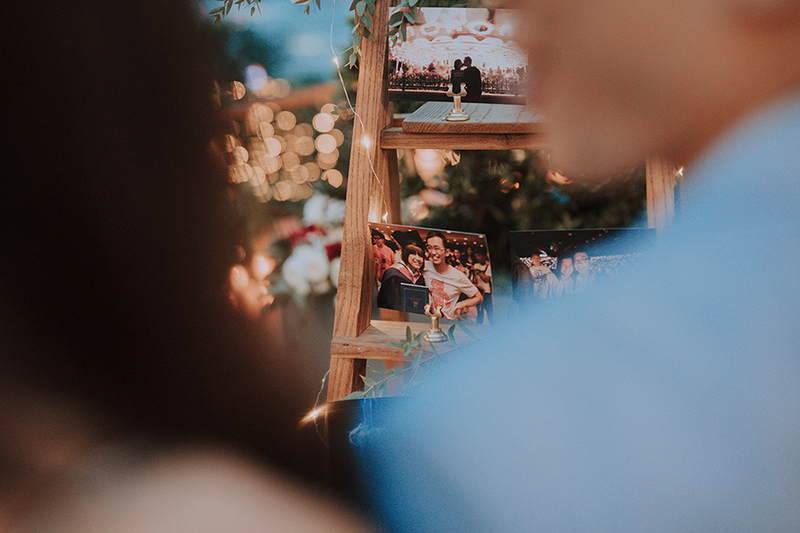 Being a photographer myself, I’ve never known how it feels to be on the receiving end when your photos are being taken on your important day! 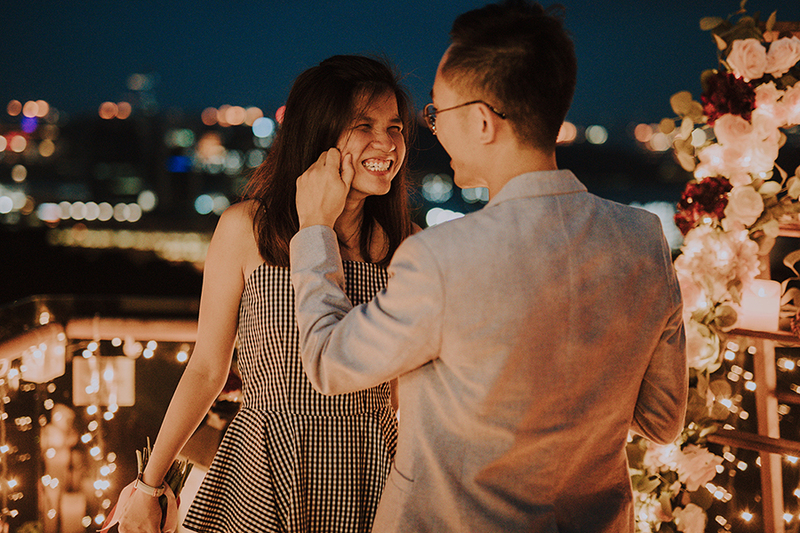 At the end of the day, I just felt happy that she was happy. 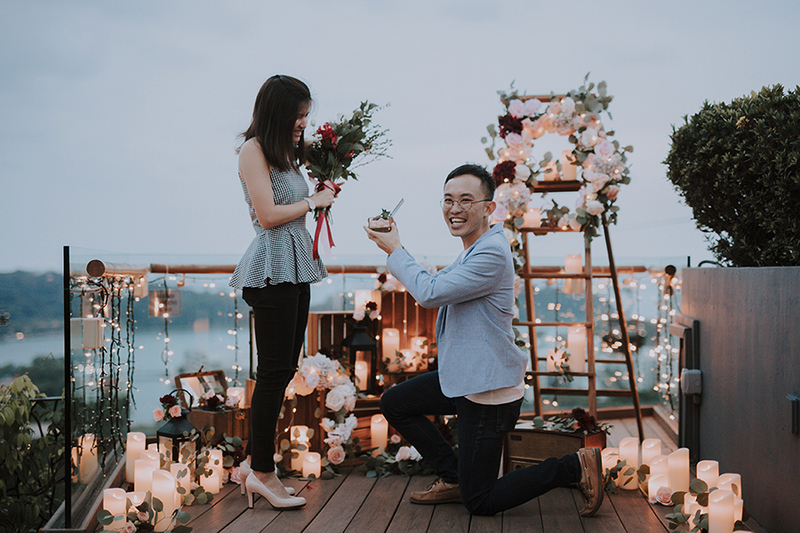 Shi Ming, was the proposal a complete surprise or did you have an inkling as to what your fiance was planning? 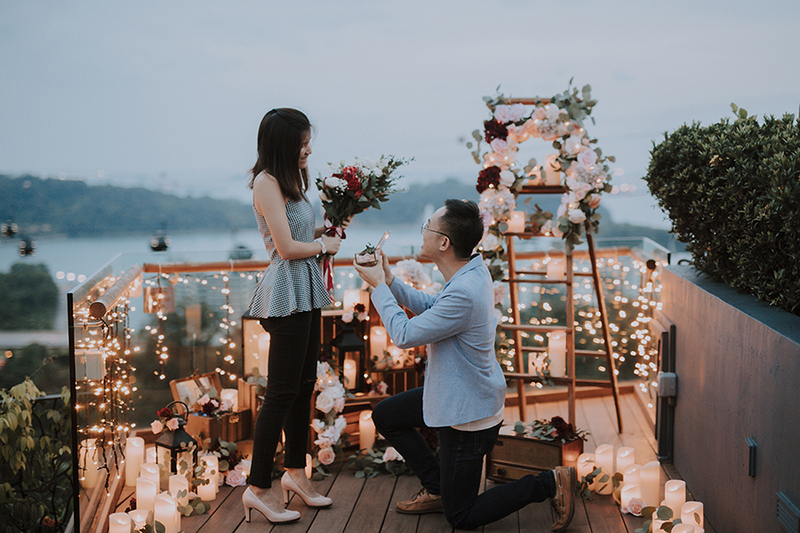 Could you please tell us a little bit about how you felt during the actual proposal? 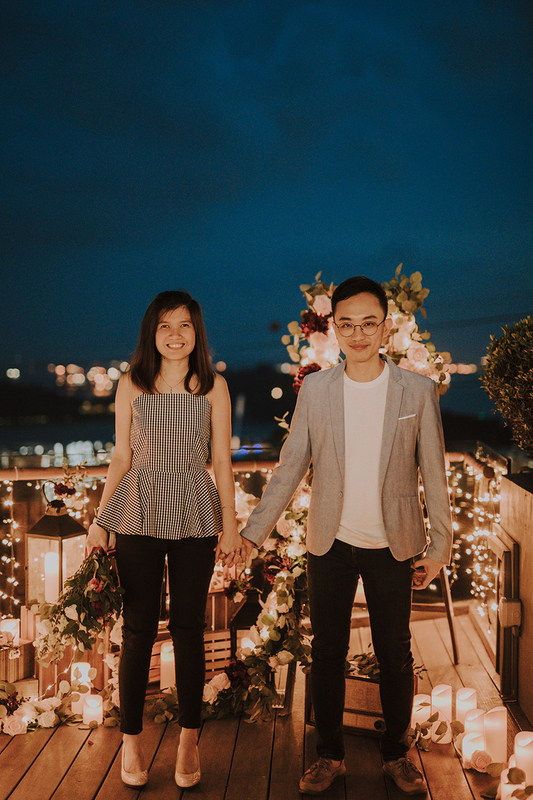 Sen Min, how did you find the ring? 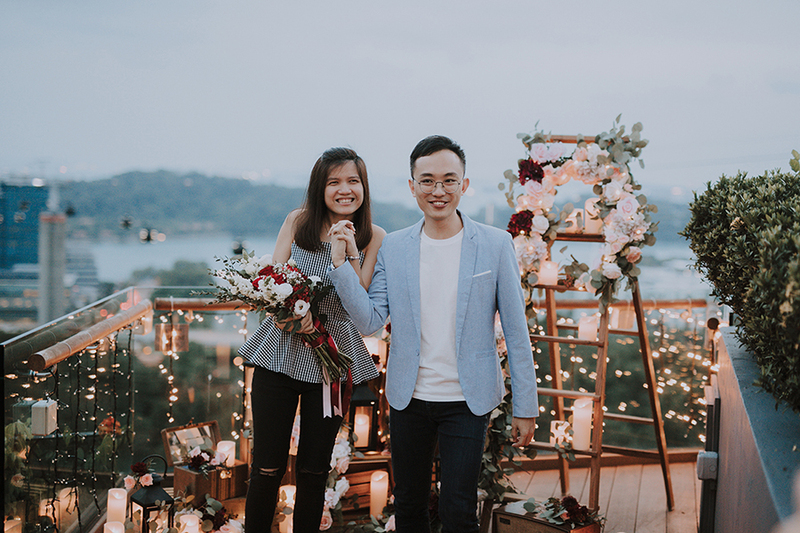 Congratulations on your engagement Sen Min and Shi Ming, and we wish you a lifetime of love!